are highly concentrated substances extracted from various parts of aromatic plants and trees. The aromatic substances from parts, such as petals, leaves, roots, barks, fruits, peels, roots or the whole plant are useually captured by steam distillation extraction method. The essence extracted from these parts are highly volatile and will evaporate quickly if left in the open air. The chemistry components of pure essential oil is very complex. Most consist of hundreds of components, such as terpenes, alcohols, aldehydes and esters. For this reason, a single oil can help a wide variety of disorders. For instance, Lavender is endowed with antiseptic, anti-bacterial, antibiotic, anti-depressant, analgesic, decongestant and sedative property, while Geranium consists of Geranic Acid, geraniol, Citronellol, Linalool, Myrtenol, Terpineoll, Citral, Methone, Eugenol and Sabinene that offer the benefits of analgesic, anticoagulant, antidepressant, antiseptic, astringent, cicatrisant, cytophylatic and insecticide. Moreover, due to their tiny molecular structure, essential oils applied to the skin can be absorbed into the bloodstream. They also reach the blood as a result of the aromatic molecules being inhaled. In the lungs, they pass through the tiny air sacs to the surrounding blood capillaries by the process of diffusion. Once in the bloodstream the aromatic molecules interact with the body's chemistry. Quite apart from their medicinal properties, just smelling an essential oil can uplift the spirits and make you feel better. 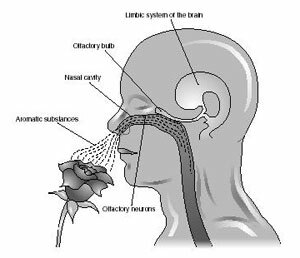 This is because the sense of smell is an interrelated aspect of an area of the brain which is primarily concerned with emotion and memory. Indeed, this influence of aroma on the psyche has led some aromatherapists to practise what is now called 'psycho-aromatherapy', whereby oils are used solely as mood-enhancing substances. The production of essential oils can be variable as plants are sensive to the weather and soil conditions, their yield and quality varies from year to year and also depend on the place of grow & cultivation and the time of harvesting. Certain plants such as Jasmine Blossom are picked in the night while Ylang Yland harvested in the morning for the strongest scent and the highest yield. Distillation: The distillation process involve heating the plant material until a vapour is formed, then cooling the vapour until it becomes liquid. In water distillation, the plant material is covered in water and heated in a vacuum-sealed container. This method is slower and sometimes inferior to steam distillation, because certain delicate components of essential oils are damaged by exposure to heat. The more efficient steam distillation uses steam under pressure to swiftly extract the essential oil. It is the most common method of extraction. Plant material is heated by steam in a still, and the volatile parts present in the plant evaporate into the steam. These vapours are carried along a closed outlet, and are cooled and condensed by being passed through a cold water jacket. The resulting water is collected in a flask and the essential oil floats on the surface. Floral water is a by-product from this process. Oils that are extracted by this method: Chamomile, Rose Otto, Neroli, Lemongrass, Peppermint, Geranium, Immortelle, etc. Solvent Extraction: Using this extraction method, the plant material is placed in a drum with a volatile solvent such as petroleum ether, hexane and benzene as a mean for capturing the essences of certain plant and resins. 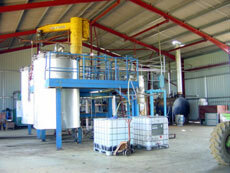 The solution is filtered off and concentrated by distillation, leaving behind either a "concrete", a combination of wax and essential oil, or a "resinoid", a substance containing resin. A second process of solvent extraction using pure alcohol recovers most of the oil. The alcohol is then evaporated, leaving a solution called "absolute". Oils that are extracted by this method: Jasmine, White & Pink Lotus, Tuberose, Champaca, Frangipani, etc. Expression: The oils of citrus fruits such as Lime, Bergamot and Lemon are much easier to obtain. The essence is found in such profusion that it sprays the surrounding air when the fruit is peeled. The highest quality citrus essences are captured by a simple process known as expression. Although this was once carried out by hand, machines using centrifugal force are now used instead. Since no heat is employed in this process, the aroma and chemical structure of expressed oils is almost identical to that contained within the skin of the fruit. Unlike distilled oils, expressed essences also contain non-volatile substances such as waxes. The drawback with expressed oils is their relatively short shelf-life. Even though producers usually add tiny amount of preservative at source, the oils will still deteriorate within six to nine months, whereas most distilled essences will keep for upwards of two years. Carbondioxide Supercritical: This process was hailed as revolutionary when it was introduced. Although a potentially excellent method of extraction, producing oils whose aromas are closer to those of the living plant, the apparatus required for this operation is not only massive, but also extremely costly. The extraction method uses carbon dioxide gas at very high pressure to dissolve essential oil from a wide range of plant material. When the pressure is allowed to fall, the oils form a mist and can be collected. The resultant oils are free of the potentially harmful residues associated with solvent extraction, but there are those who argue that carbon dioxide is an acidic gas and therefore detrimental to the chemical structure of essential oils. Phytonic Process: This phytonic process was recently developed by British microbiologist Dr. Peter Wilde in collaboration with the multinational chemical company. Proponents of phytonics technology believe that it heralds the biggest breakthrough in aromatic oil extraction since the discovery of distillation. The process has been developed around a family of new solvents collectively known as phytosols, whose unique character ensures that the aromatic oils of plants can be captured at room temperature. This means that the exceptionally fragile, heat-sensitive components of an aromatic oil are not lost, or radically altered, in the extraction process. While each essential oil has its own unique properties, many also share some common therapeutic actions. 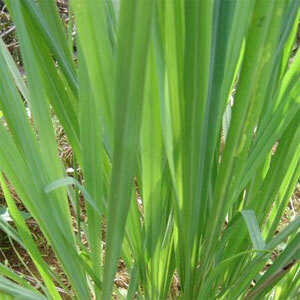 All plant essences are antiseptic to a greater or lesser degree. Some oils are endowed with antiviral properties such as Garlic and Tea Tree, which have the most powerful on the antiviral properties. Many essences, notably Rosemary and Juniper, are also antirheumatic. When rubbed into the skin, they stimulate blood and lymphatic circulation and increase oxygen to the painful areas, which in turn aids the elimination of tissue wastes which contribute to the pain of arthritic and rheumatic complaints. There are many uses of essential in the medical aromatherapy such as treating Hormonal Imbalances. A major area of influence is the effect of essential oils upon the female reproductive system. Essences such as chamomile, cypress and rose are cited as especially helpful in regulating the menstrual cycle. For the aromatherapy of central nervous system, the aromatherapists believe that enough essential oil is absorbed through the skin and into the systemic circulation to exert a pharmacological action. However, inhalation of the aromatic molecules is another significant pathway. It has been found that essential oil reach the bloodstream more speedily via inhalation than by oral administration. An essence may also have the ability to exert semingly paradoxical actions. A person suffering from exhausion as a result of hyper-anxiety, for example, can be both calmed and stimulated by sniffing Peppermint essential oil. This may be easier to understand if we consider a common response to the oil. Its piercing aroma gives an initial charge which clears the head and awakens the senses. This feeling gradually gives way to an expansive sensation which may also be perceived as a sense of quietude. It is vital to obtain only the purest aromatherapy grade essential oils. Most aromatherapists buy their oils from specialist mail order suppliers. The advantages offered by mail order suppliers include a wider range of oils and lower price on larger quantities. However, if you are new to aromatherapy, it may be the best to buy your oils from a health shop or other retail outlet specialising in natural remedies, and contact the online shop when you're familiar with the essential oils. This give you the opportunity to smell the essences before buying. Everytime before purchasing essential oil, buyer must carefully check that the seller notice "100% pure essential oil", not some kind of oils labelled with "aromatherapy oil" or "aroma", which often means it is a mixture of about 2-5% essential oil diluted in a carrier oil such as sweet almond or jojoba oil. For instance, a 10 ml bottle of diluted oil is barely enough for 3-5 times face and neck massage or only single time of whole body massage, whereas 10 ml pure essential oil, once correctly diluted, is enough for over 200-500 face and neck massage or over 100 times of whole body massage. Moreover, the pure essential oil in 10ml bottle can be used in steam inhalation or dropping into the bath for almost 100 times and offer such the perfect aroma to the user, whereas the diluted aromatherapy oil is not good enough to use in steam inhalation or even dropping in the bath for relaxing & calming aromatherapy.